You can integrate the WP eMember plugin with ConvertKit so that the members can be automatically signed up to a sequence. You can also add members to certain tags (based on their membership level). 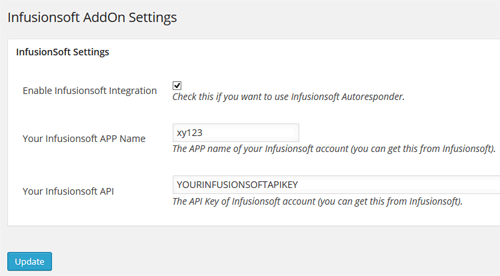 You can integrate the WP eMember plugin with Infusionsoft so that the members can be automatically signed up to your Infusionsoft account. When members register on your site, this extension will add them to your Infusionsoft list. You will be able to specify a Tag ID for each membership level to indicate where you want them added to (depending on their membership level). Step 1) Click on the “Infusionsoft” menu link from the main eMember plugin’s admin menu. Step 2) Enable the integration then fill in the API key and the APP Name. Then hit the “update” button to save. 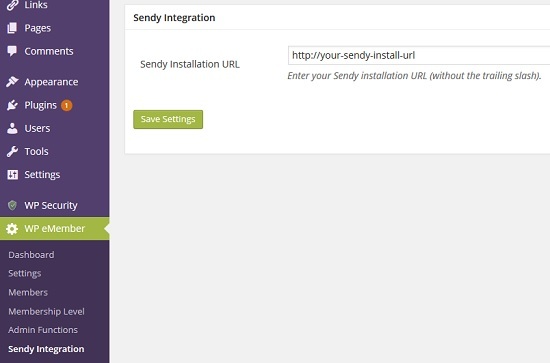 The eMember Sendy Newsletters integration addon allows you to add your members to your sendy.co list when they signup for a membership account. When a member signs up to this membership level, the plugin will subscribe this user to the specified sendy list. The addon is FREE for all customers who purchased WP eMember plugin from us. The WP eMember (membership plugin) can be easily integrated with MailChimp (Email marketing and Email list manager). 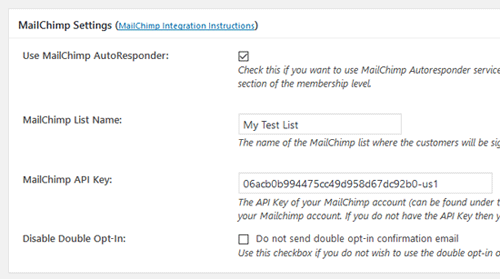 This allows you to add members to your MailChimp list as they join your membership site. 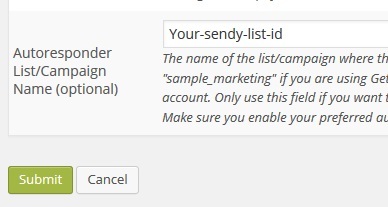 To integrate MailChimp with eMember simply go to the “Autoresponder Settings” tab from the Settings menu of eMember and set it up. Save the settings by hitting the “Update Options” button at the bottom of the page. You can also signup members of different membership levels to different MailChimp lists. You can do this by editing a membership level then specifying the list name for that level. You can add interest groups when a member is added to your MailChimp list too.